I specialize in career and technical education with experience in teaching elementary level core subject areas reading, language arts within several schools within the Garland School Districts. I enjoy helping others meet their full potential in their educational goals and their lives. This is why I teach, tutor and mentor youth and adults. I have always possessed a love for discovering new and challenging things and I have been an avid reader and a technology guru since my earlier years. This helped me to excel in many areas in my education and career. 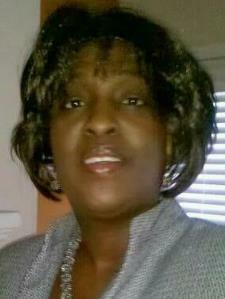 My name is Rhonda, I hold a Bachelor of Science degree in Business Management from Southern University. I come from an extensive business, finance and legal background that lead me into a teaching career. After working over 30 years in the corporate world in the Insurance, Legal, and Finance industries. I decided to pursue a Texas Alternative Certification and share my knowledge and experience with the future generation of the workforce. I really wanted to give back to the communities that helped me reach my goals in my career and in obtaining higher education. 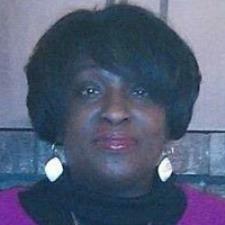 I specialize in tutoring in Career and Technical Education and Reading, and Writing. I believe in getting back to basics with the three R, (Reading, Writing and Arithmetic/math) which is the key to helping students perform well and excel in their core subject areas and move onto advanced studies. In addition, I tutor in Business Education in courses such as Keyboarding, Basic Computer, Finance, and Business Law, and MS Office applications (Word, Excel, Outlook, and PowerPoint) at the elementary and secondary level (6-12 grade). Let me show you that learning can be challenging and a lots of fun. Send me an e-mail so I can structure lesson plans that best fit you learning style and help you improve your grades in the coming school year. Rate details: Hourly Rate (varies): $40-$60 based on Subject: Reading or Writing: $40 Math or Business: $60 24 hrs cancellation notice required or a late cancellation fees of $25 will be charged. As a Business Education Teacher at the 6-12 grade level, I teach students how to utilize the Microsoft Office suite programs or applications in order to create professional looking presentations, draft written correspondence and develop spreadsheets for budgeting or statistical reporting. Also, students are taught Keyboarding, Money Matters and Personal Finance, Business Law and Human Resource Management. In addition, students are taught how to efficiently manage their Outlook Mail system as well. As a Business Education Teacher, I teach students how to utilize the Microsoft Office suite programs or applications in order to create professional looking presentations, draft written correspondence and develop spreadsheets for budgeting or statistical reporting. Also, students are taught Keyboarding, Money Matters and Personal Finance, Business Law and Human Resource Management. I have worked with teaching and tutoring grades (K-6) in the elementary schools for over a year. I teach the D'Nealian style for print writing which provides a better transition from print to cursive and the cursive writing using a Spencerian writing style of penmanship practices. These are the main writing styles taught within the U.S. school systems. In addition, I hold a B.S. Degree in Business Management which required me to study the penmanship in business writing. I have worked with students from elementary and secondary grade level and adult literacy in the development of their reading skills by teaching sight words, phonetic techniques, vocabulary building exercises and reading comprehension skills. The student is taught sequential phonics and the multi-sensory approach which has been proven through research methods to facilitate learning, inspire confidence in the student. One of the main method that I use for adult literacy is the Laubach method which was developed specifically to help adults with limited or no reading skills. In the past three years, I have taught students proper study habits in middle and high school. They are taught the use of the Cornell Note taking method in order to help facilitate good memorization and optimal test taking techniques throughout their educational experience. They are taught many strategies in order to master their learning experience as well. I work with students in elementary and secondary grade levels and adult literacy in the development of their reading skills by teaching sight words, phonetic techniques, vocabulary building exercises and reading comprehension skills. The student is taught sequential phonics and the multi-sensory approach which has been proven through research methods to facilitate learning, inspire confidence in the student. I had taught language arts/English for over three years to pupils at the K-12 grade levels in Garland ISD and Greenville ISD. In addition, I was a contract analyst for over six years in the legal department. It was my responsibility to write policy provisional language for a major insurance, which was approved by the state insurance committee. Rhonda is very patient with the children! Rhonda is working on typing skills as well as basic grammar/ writing skills. She is takes a careful step by step approach which is helpful.